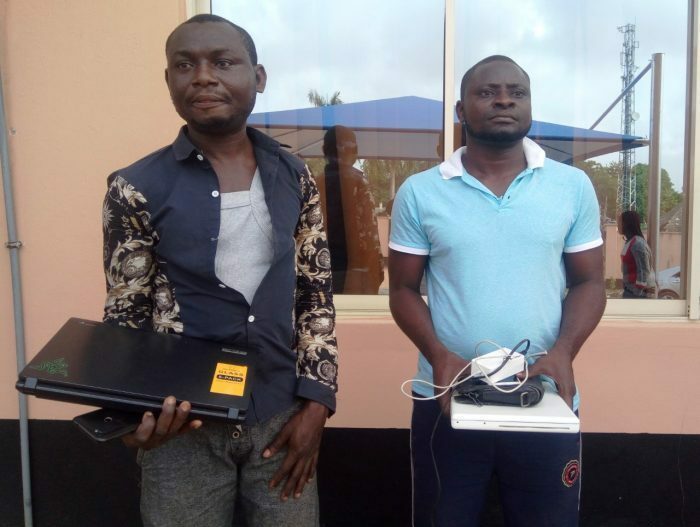 A lady who sleeps with men for money jumped from a two-storey building in Ibadan, Oyo State to escape from suspected ‘Yahoo Plus Boys’ who wanted to use her for ritual. 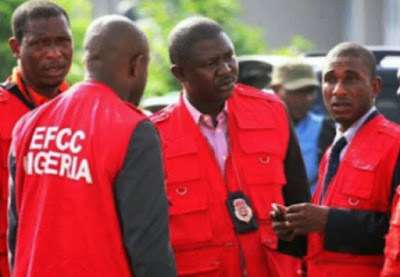 The Oyo State’s special security outfit, Operation Burst, arrested the two suspected internet fraudsters and took them to the Ibadan zonal office of the Economic and Financial Crimes Commission, EFCC, after the woman escaped being used for their 'ritual sacrifice'. According to the lady, “We met at the club last night and we all went back to their apartment to sleep over. At some point, I noticed some funny movement and I saw them with a calabash (a native pot). “That was when I knew they were ritualists with the intention to use me for rituals. So, I jumped off the two-storey building, and off the fence. I then reported the case to the ‘Operation Burst’." Preliminary investigations have also revealed that the suspects have various incriminating documents.